Being tall is linked to a higher risk of cancer, especially for women, said research Thursday drawn from physical and health data for five million people in Sweden. For every 10 centimetres (four inches) over one metre in height, the odds of developing cancer increased by 10 percent in men and 18 percent in women, the research team reported at a medical conference in Barcelona. A Swedish woman 1.72 metres (six feet) tall, for example, was about a third more likely to contract cancer than a woman of 1.52 metres. The findings, which have not been published in a scientific journal, support similar links found in other studies between height and elevated cancer risk—but the researchers said their work was based on the largest group of men and women yet. The findings, unveiled at a meeting of the European Society for Paediatric Endocrinology, looked at birth, health and military records of 5.5 million people born between 1938 and 1991. The tallest was 2.25 m in adulthood. It found that for every extra 10 cm, a woman had a 20-percent higher risk of breast cancer, while there was a jump of 30 percent for every 10 cm in melanoma risk for both genders. Rather than tallness "causing" an elevated cancer risk, factors like growth hormones may be influencing both traits, they pointed out. "It sounds an odd relationship at first glance, but it is actually very plausible that the risk of cancer in a person should be related to the number of cells in their body, since that determines the number of cells 'at risk'," Dorothy Bennett, a scientist at University of London said in comments issued by the Science Media Centre. 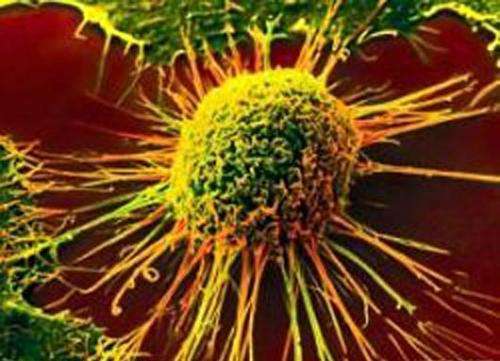 "A cancer arises by mutations from a single normal cell. Bigger people have more cells." Mel Greaves, a researcher at the Institute of Cancer Research in London, added: "Tall people shouldn't worry that they are destined to get cancer."